In 1989 I began photographing landscape on the Washington’s Olympic Peninsula, and continue photographing there. 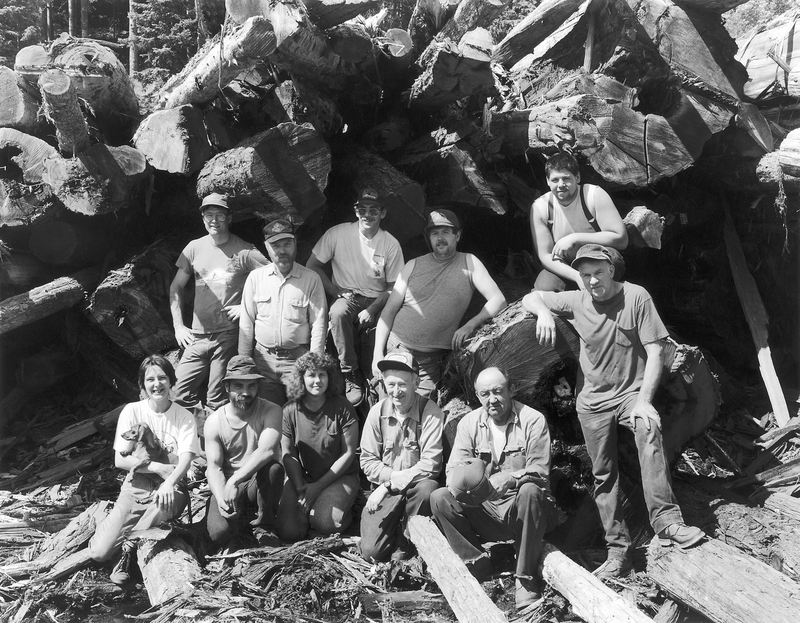 Between 1992 and 1994 I spent time with two groups of timber workers. Near Port Angeles, a crew from Priest Logging was cutting second growth trees on Hunger Mountain in Olympic National Forest. Near Aberdeen, Peterson Shake Company operated a small mill where the workers lived on site. In the 1950’s cedar in the area was intensively cut leaving eight to twelve foot stumps. In the 1970’s those stumps were cut a second time to make cedar shakes and the Peterson Shake Company’s work in the 1990’s was the third cutting of those stumps.